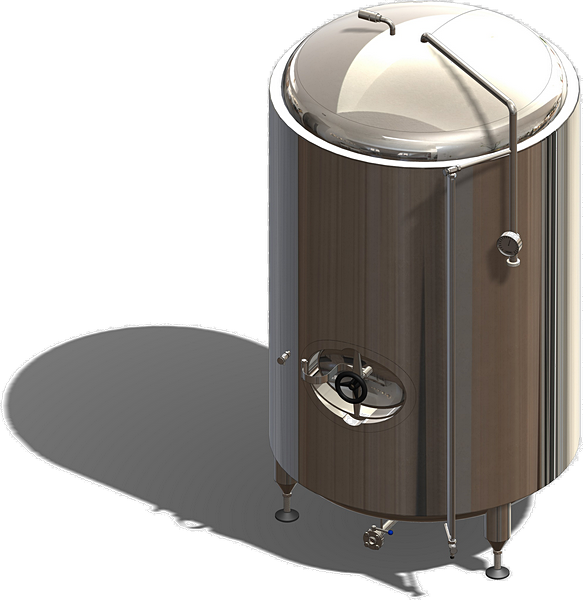 Pressure tank with a working volume of 2 000 liters is a cylindrical vessel with dished ends, laid on 4 adjustable legs. 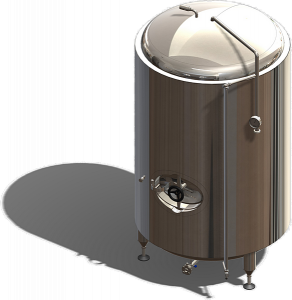 The vessel is designed for fermenting a partially fermented beer, lagering and tapping of beer or other beverages. The tank is made of stainless steel class AISI304 (DIN 1.4301). Welds of inner container surface are ground to Ra = 0.8. The outer sheathing of the container is all-welded. 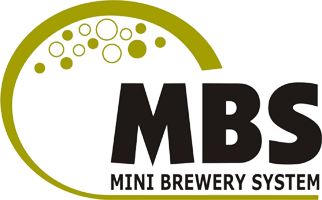 The pressure tank can be produced in several variants, always tailored to the needs of the customer.